When it comes to instrument case wraps we've got it all: as long as your case is made of a hard, non-porous surface our vinyl skins will work on your case. Sorry guys, no soft cases here but you might be able to find something on a custom-embroidery site. 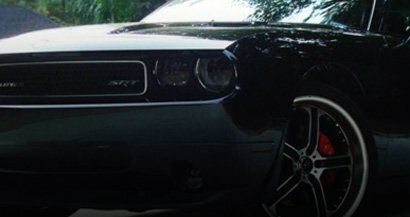 Because we carry great wrapping films from brands like ORAFOL, Avery™, 3M™ as well as our own Rwraps™ Series you can do away with your unsightly and boring black plastic cases. 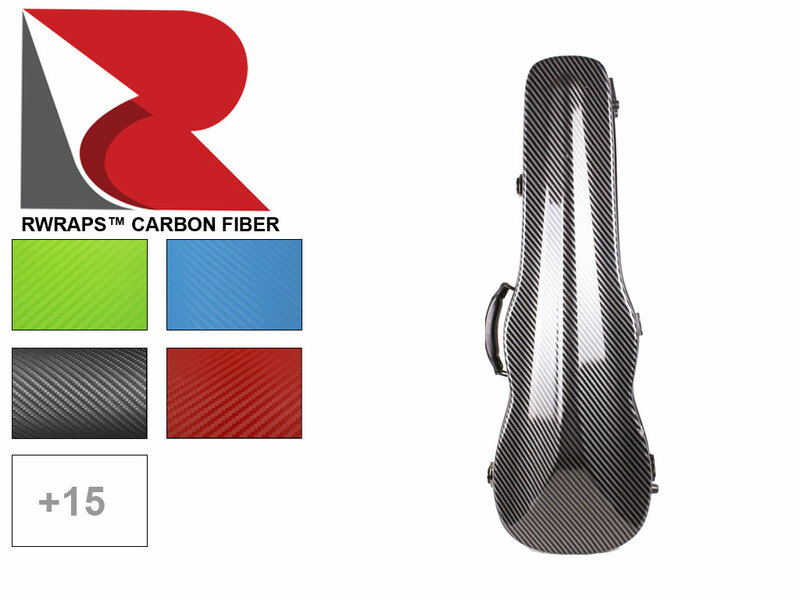 For pennies on the dollar you can upgrade your violin, viola, flute, guitar, trumpet and cello cases to get a truly one-of-a-kind look that will stand out in the band hall and make you the envy of band camp! Elsewhere on our site we've shown how you can skin your hard musical instrument case in six steps. That article dealt with a violin or viola case but many other musical instruments have cases that are even easier to wrap. This is especially true when thinking about standard, rectangular flute cases or those for trumpets and cornets. The six steps below will give you a quick idea of the steps you'll need to follow to wrap or skin your instrument's case. Clean and Prepare You Instrument Case: It's the nature of your musical instrument's case to be knocked around and get dirty. That's what they were made for: to take the abuse you want to shield your instrument from. But, when you want to skin your case you need to take extra special care about clearing and surface prep. Use rubbing alcohol, Rapid Prep and then a water spray (distilled is best) to remove and detergent cleaners and alcohol residue. Clean with a lint free cloth or paper towels until no dirt appears on the cloth. Measure Your Case: Get the length, height and width of your case. Decide if you're going to do a partial wrap or a complete instrument case skin. Choose the size sheet you need. Apply Primer: We recommend using 3M Primer Pens but you can use any primer you might have or are familiar with. Tack Vinyl Down to Case: Peel up liner (about four inches) and tack down the sticky side onto your case. Proceed slowly with squeegee or card and apply the vinyl skin to the instrument case as you pull the liner out from underneath. Squeegee & Trim: Once the vinyl wrap has adhered pretty well to the exterior of the case (there will still be areas not tightly adhering) you can start to squeegee the film using more force and heat. Be sure not to squeegee over "fingers" or creases in the film as they cannot be worked out. Instead, lift and reapply with more heat and use your thumb instead of a hard card. Next, trim away any excess wrap film. Post-Heat Your Case Skin: The last step is to heat the skin with your hair dryer or heat gun, tucking any wrap film into crevices and corners. You can use more heat here than you normally would. Once you've completed this step you should be good to go. Be sure to send in your pics to receive our Cash Back Rebate and to be featured on our site and YouTube channel. Which Style of Case Wrap Is Right for You? At Rvinyl we pride ourselves on carrying one of the largest selections of craft, sign and wrap vinyl anywhere. As a result, we're able to offer you a wide variety of choices when it comes to custom Musical Instrument Skins. Choose from 3M™ 1080 Gloss or Rwraps™ Carbon Fiber or Sticker Bomb wraps. Need a temporary solution for a gig or party to wrap your violoncello or violin? These films are perfect for you because you can install them and then remove them the next day. Why Choose a Musical Instrument Wrap? There are a few other companies out there who offer true custom or trim-to-fit solutions for wrapping your instrument's case but just because they're precut doesn't mean they're any easier to put on. In fact, you have to be pretty darn accurate to get it on right. Plus, there's another reason to buy your guitar skin from us: textured wraps. Every other company we know of offers digitally printed skins for guitars but what if you want something a little more unique? What if you want a Snakeskin look with a true-to-life texture or to get the look of Carbon Fiber with a 3D texture? If you go anywhere else you'd be out of luck but we've got all that and more at Rvinyl.